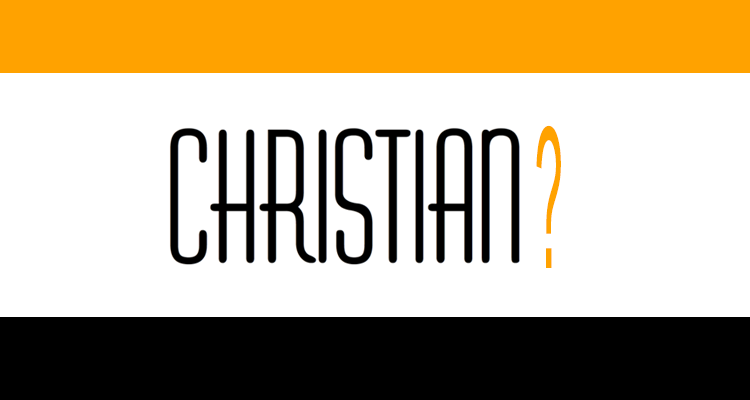 You are at:Home»Articles»Did Jesus Tell His Followers To Be Known As Christians? I maintain that a vast majority of those proclaiming to be followers of the Christ do not know him; even though they claim that they do. I also maintain that the vast majority would not recognize his voice if they heard it and if they did, they would not respond to him. I further maintain that the vast majority of these so-called proclaimers have demonstrated a preference to listening to the man-made establishment of the bulk religious system they call Christianity INSTEAD of listening to the Christ. This listening posture is to the men and women within the religious system who station themselves as authorities and leaders above the flock and feed them teachings not of God and Christ. The flock, in turn, listen to them and are led to believe that this is what God wants them to do. The gatekeeper opens the gate for him, and the sheep listen to his voice. He calls his own sheep by name and leads them out. When he has brought out all his own, he goes on ahead of them, and his sheep follow him because they know his voice. But they will never follow a stranger; in fact, they will run away from him because they do not recognize a stranger’s voice. Christs followers would definitely recognize the voice of their Master as he would be the one directing, leading and teaching them. Yet, did the Master direct or teach his followers to be known as Christians? Or, was this expression one created by men and pushed upon the world as if it is from God and Christ? Does it matter? Did Christ Direct His Followers To Be Known As Christians? The answer is easily verifiable: No, Jesus did not. There are persons who will disagree and say “The Bible” does. True, the Bible does use the expression “Christian” twice; once at Acts 26:28 and once at 1 Peter 4:16 and the expression “Christians” once at Acts 11:26. Yet, Jesus [the]Christ himself is not speaking here. Additionally, Jesus had already ascended. There are many who use what is written at Acts 11:26 as proof text that Christ directed his followers to be known as Christians. I state again, Christ himself did not mandate this. Let’s take a close look at Acts 11:26 and you will see what I mean. And when he found him (Saul of Tarsus), he brought him to Antioch. So for a whole year Barnabas and Saul met with the church and taught great numbers of people. The disciples were called Christians first at Antioch. First notice that Christs disciples were first called Christians in Antioch. Also notice that the expression Christians was not used among the disciples, but was rather used about them from persons who were not disciples. At Acts 26:28 King Agrippa – a person not a disciple – uses the expression Christian with reference to Paul. This shows that the expression was not used by one disciple to reference another disciple. This expression is always used by persons who were not disciples to reference those who were disciples of Christ. Here the Apostle Peter is saying if you suffer and people label you with the expression Christian in association with this suffering, then suffer derision gracefully. As an African American myself, I can certainly appreciate such negative and derogatory labeling. The use of the N-Word is not a label African Americans gave themselves. It was a label given to us by those who held us in derision; and many still do. Permit me to say that those who call Black people by the N-Word expression are Anti-Black. Furthermore, those Blacks who accept this expression and who use it themselves are Anti-Black; against, their own race as they use a derogatory expression with reference to each other. Likewise, those who claim to be followers of Christ who accept the derogatory expression of Christian – a label someone who held them in derision gave – then they are anti-christ. Why? Because they accept an expression to describe themselves that someone else – a non-disciple – gave them and they do not primarily take upon themselves the title Jesus told them to be known as: Disciples. They call themselves Christians and Christ says to be known as his disciples. They oppose Christ and accept a derogatory expression the world gave them. Yet, what is clear is that the expressions Christian and Christians were used by non-disciples in their persecution against Christs disciples. What we chose to label ourselves as opposed to who Christ said we are to be is very significant. Christs followers are in the business of truth; and, the truth is that Jesus did not tell his followers to be known by the titles Christian and Christians. The truth is that he told us to be known as his disciples and to make disciples to him. (John 8:31-32). The expressions Christian and Christians were created by non-disciples in reference to the disciples of Jesus and intended to be used in a derogatory manner. Something else to consider: The expressions Christian and Christians are used today by Popes and Presidents, homosexual and child-molesting clergymen, persons preaching from the pulpit, TV Evangelizers, Hollywood celebrities, and military persons. The expressions have become associated with vice, corruption and hypocrisy. Not only that, they do nothing to amplify Christ and his teachings. In fact, they confuse and misrepresent Christ and his teachings and causes the world at large to reject them. With friends like these, God and Christ need no enemies, I say. Many will say, “So, what’s the big deal?” It is this: Truth. There is no little truth or big truth, just truth. And, if we dismiss this as insignificant then the many other things masquerading as Christs teachings will easily be dismissed. All things spoken or written that are claimed to come from God must be put to the test to see whether or not they genuinely did. The test is easy: If God and His Spokesman – The Word of God, Jesus [the]Christ – did not speak it, then those things fail the test. Jesus NEVER said to be known as Christians. Next Article Who Told You? ive been reading some of ur post… u make sense but does it matter the live we live today since in another post u talk about Christ 1000 years reign? i saw a youtube video with Creflo Dollar about the truth of hell and this dude totally contracted the bible and im like wow. there were like hundreds of people in front him. secondly, y do u think everyone have so many different interpretation of the bible its really confusing? Just seeing this. The question we should be asking ourselves why is, “Is it the interpretation of the Bible that one should be concerned with or what Jesus says. The Bible is NOT Jesus. The sayings of Jesus far exceeds anything the Bible would say. This is why so many people are confused: The uphold the Bible as some kind of authority or guidebook and it isn’t. Jesus is the Word of God, not the Bible. Where do you find the sayings of jesus if not from the bible? Please do not make the mistake to think that “The Bible” is how we are to receive Christ’s teachings today. We receive them by Holy Spirit and ASKING in prayer. A book is NOT the way, the truth, and the life. ONLY Christ is that. Also, ask yourself: Who gave this book its name? Who called it holy? Who authorized it? Who calls it scripture? Who calls it the word of God? Did God do these things or did men? God authorized and sent his Son, not a book. YES JESUS IS THE WORD OF GOD AND NOT THE BIBLE. I FULLY AGREE WITH YOU BROTHER! I REALLY THANK GOD FOR THE CHARACTERS HE USED TO DRAW MEN AND WOMEN UNTO HIMSELF. WHAT OUR GREAT, GREAT, GREAT AND GREATEST FOREFATHERS ACQUIRED FROM GOD HAS BEEN DELIBERATELY DILUTED OVER THE GENERATIONS UNTIL NOW BUT THE SPIRIT OF GOD IS STILL THE SAME. GOD SPEAKS TO US THROUGH HIS SON IN DIVERSE WAYS BY THE SAME SPIRIT. I QUESTIONED MY PARENTS ABOUT THE NAME “CHRISTIAN” AND GOT NO CLEAR ANSWERS AT AGE 5, AFTER 10 YEARS IN A TERRIBLE SITUATION GOD REVEALED HIMSELF TO ME AS HIS CHILD AND NOT TO BE AFRAID FOR HE IS WITH ME. I BELIEVED AND SINCE THEN I CALLED MYSELF “A CHILD OF GOD” BROTHER I FULLY AGREE WITH YOU ON YOUR ANSWER TO THE QUESTION. REALLY JESUS CHRIST DID NOT GAVE THE NAME CHRISTIAN OR CHRISTIANITY. The Lord’s expression–“disciples indeed”–implies a distinction between real and merely nominal disciples. And since we desire to continue to be his real, sincere disciples, let us mark the expressed condition: “If ye continue in my word, then are ye my disciples indeed.” The hypocrisy of merely nominal discipleship is an abomination to the Lord. Many “assume” discipleship to Christ but are not. They are more “disciples” of religious organization and the rules, regulations, and teachings that issue out of them. I would be very careful in saying that “The hypocrisy of merely nominal discipleship is an abomination to the Lord.” Christ never said that it is from men and the devil. Either one is a disciple or one is not. I do not see “nominal” discipleship. Well said, I’ve been dealing with this subject from time to time over the past few years and I once again find myself delving into this subject. I continued think that I was never a truly a believers in Christ Jesus because of these fact, among others. How can I attend a church if most people in them hold to these beliefs? I find myself giving into to the sin of my flesh because it’s as if there is no hope, no one is truly saved and even if I we’re then I am alone? I’ve trying to express myself concerning these issues in my blogs but I have not been very successful. PS, I thank God for allowing me to find your website. Well said, I've been dealing with this subject from time to time over the past few years and I once again find myself delving into this subject. I continued think that I was never a truly a believers in Christ Jesus because of these fact, among others. How can I attend a church if most people in them hold to these beliefs? I find myself giving into to the sin of my flesh because it’s as if there is no hope, no one is truly saved and even if I we’re then I am alone? I've trying to express myself concerning these issues in my blogs but I have not been very successful. Shalom my brother well said recently TMH work me up to his truth and I had been fighting with the same topic as well. I know that I am Hebrew a child of Israel which is my nationality and I don't subscribe to any religion because TMH did not teach any religion. Your article reinsured me even that I am a disciple of the Mashiach. I pray for Yah's children that they heed to his voice and hardent not their hearts. He is awakening his children all over to teach the Gospel to those which are lost. I pray that Israel comes from amongst all religion and turn back to the Father by obeying his Laws, Statues and his commandments. (1) The “Gospel” message the Mashiach spoke of would have to be preached to the ENTIRE world as a testimony to ALL nations before the end comes. This is simply not possible to accomplish in a world full of religion and a world divided because of religion. There are over 44,000 contending “Christian” demoninations who teach the Mashiach differently and many of them claim the “other” Christian demoninations are wrong. And none of them can tell you or show you specifically what this all important Gospel message to be preached is. (2) The Gospel (Good News) message has not been given yet. It cannot be found in the Bible or in any book. What I see is an entire world alienated from the truth about the Mashiach. I see a world that believes it is enslaved by a set of divine rule, regulations and commandments none of which the Mashiach bound any to, but freed us from. I see a world that stumbles about in the dark unsure of itself concerning what the Gospel message is. My Sister, we must be very careful. No Gospel message has been given to mankind to preach or teach. We should not assume that has been given. If it has been given then it should not be a difficult thing for any follower of the Mashiach to detail specifically what that message is and where one can find it written down. Additionally, any person claiming to follow the Mashiach – no matter who they are or where they live in the world – should be able to utter that Gospel message. Unfortunately, if one ask 10 different people “What the Gospel message is” one would get 10 different responses. Yet, the truth is that no Gospel message has been given to mankind to preach. Even the angel that will be entrusted with declaring it to the world, has not received it yet. I simply want us (myself included) to think, ask questions, and not blindly assume matters as truth with regards teachings about The Most High God and his Mashiach. Isn't the Gospel, the Truth in fact Jesus? Isn't the Law of Love the message of the Gospel? When it speaks about the Fruit of the Spirit and there being no law against them, law meaning no restriction, is that not the message we are to give the world? Or are you saying there is a specifically laid out plan that should be stated in the Bible that here is the Gospel message that should be given? Why would God give Jesus toHe become Truth and be the example of Love and how His Disciples should live if He in fact,. His character and His Spirit is not the message that we as learners and followers of Christ should take to the world? No, the Gospel is NOT the truth. May I ask who told you that? Jesus said that he is the truth. (and the way and the life). Obey God command at Luke 9:35 to listen to His Son, not to a book that someone gave a name to and call Gospel and Word of God. Satan is quoted in this book also. Are his sayings Gospel? Only that which is spoken by God and Christ is what one is to listen to. Anything else we want to know, we ask the Father – through His Son – for. There is no book or volumes in this world that can provide God’s wisdom, understanding, and knowledge to us. No book is the way, the truth, and the life. It shows a lack of faith to rely upon and consult a book; something God did not send us. He sent his Son. And, when his son ascended, that son said that he would send us a Helper/Comforter (The Holy Spirit). It would teach us. Not a book. Dear Jerome. Thank you for your effort and your consoling words, which I can follow most of the time. However I am a bit confused. Even though it says in 2 Timothy 3:16 that “Every holy Writing which comes from God is of profit” you say that there is no book for worshipers of the great maker and his son? If I understand you correctly you say that it does not matter what others wrote, like Paul to Timothy or maybe even writers like Moses? Only what God and his son say or said really matters. And there is no other way to learn about them but to “listen” to them? I learned the Gospel is the written record of the Christs’ life on earth. If we see (or read) him (about him) then we also understand who the father is and what we are supposed to do with our life. This was we can come to the father. Then aren’t we supposed to believe the “Gospel”, i.e. the books Matthew, Mark, Luke and John? And if you say there is no scripture at all for disciples of Jesus how come you quote from many other bible books which were composed by other bible writers than the above mentioned? Finally one remark concerning the message that goes out into all the world. In the well known words in Matthew 28:18 we learn that Jesus has all the authority (again you would lean upon the written record if you believe this). Only after making his point he says to his disciples (not the angel in midheaven) to go and make disciples and in 20: “Teaching them to keep all the rules which I have given you”. People and not angles are supposed to go. Why do you believe John / Revelation rather than Jesus / Matthew when it comes to this work? Jesus is refering to all the things he has said. Not some things he will say or give to them later in the future. Thus if we can now what he told his first disciples we too can spread the same word. According to the 4 books, Jesus did not give many commands. Only a few and principles too. Also he lead by example. In this respect also he is “the way”, if we do what he did. He told us how we should pray. The father’s name may be kept holy, his will and kingdom is mentioned in that prayer, forgiveness and contentment with things as well. Jesus was loving in word and deed and self sacrificing and humble because this would be especially pleasing to the father. Therefore I am sure we can learn exactly what the Gospel / good news is from the written record, especially the 4 aforementioned books, but also the others and then spread this message of love and reconcilliation, but first of all live it by imitating the loving man Jesus. The final word is that of Christ. Not those he taught and not a book. That is God’s command at Luke 9:35. I am not saying that one not read the writings of Matthew, Luke, Mark, John, Paul, Timothy or the others. What I AM saying is that THEY and neither is a BOOK called the Bible is THE WORD OF GOD. Christ Jesus is. Who told you that the writings of Matthew, Luke, Mark and John are “Gospels?” Those four men certainly did not. God did not. Christ did not. Men did. What many fail to understand that there was no such thing as “The Bible” when Christ ascended. The first “Bible” did not come into being for some 1500 years after he ascended. So, how is it that it is called “The Word of God” or “The Gospels” or “Holy” or “Scripture.” Men! Man say this, not God or His Son. We DO NOT follow Matthew, Mark, John and the others, we follow the teachings of Christ. Satan has misled the world in a very large way to get it to focus on and defend a book rather than the one The Most High sent. Matthew 28:18 are not the words of Matthew, these are the words of Christ himself. And Jesus does command his disciples to “go” to the people of all the nations and make disciples. This statement was made when there was no such thing as a Bible. So, how do you suppose the disciples back then made other disciples? Why is it we today need a book while Christs disciples back then did not? Satan. Satan has cleverly and subtly misdirected the worlds attention from the one God sent (Christ Jesus) to something God did not send (a book). With regards what “Jesus” said at Matthew 28:18-20 and what “Jesus” gave to an angel to tell John to write down that is stated at Revelation 14:6 are two different things. Jesus’ command at Matthew 28:18-20 is referring to “making disciples” to him, NOT declaring The Good News of the Kingdom. Revelation 14:6 clearly shows that it is an angel (a solitary angel) that has been given andn entrusted the “Good News” to declare, not any human. I say this respectfully: Why would you assume that God has given this tasks to us? Because a religious organization says so? Something else, show me “what” that Good news message is and “where” it is written? No one on earth can! Why? Because it will not be given to humans to declare. That message will be important and it is a holy one. We are not holy incapable of disseminating such a message. It has not been given yet. So this “work” you refer to and as to why I do not share in that work. I do not share in it because it is not my place to. God will entrust the declaration of “The Good News of the Kingdom” to that one angel who I believe is Michael (Jesus’ heavenly name). If I “believed in” the Bible, then I am saying that the Bible is “the way, truth, and the life” and it is the way to the Father. The world and the many professing to believe in Christ are unfaithful to him because they think that they need a book! They “walk by sight, not by faith (in the unseen). They have not taken advantage of the gift of prayer in asking the Father for wisdom, knowledge, and understanding. They need the book and the book has them. Shalom my brother well said recently TMH awakened me up to his truth and I had been fighting with the same topic as well. I know that I am Hebrew a child of Israel which is my nationality and I don't subscribe to any religion because TMH did not teach any religion. Your article reinsured me even that I am a disciple of the Mashiach. I pray for Yah's children that they heed to his voice and hardent not their hearts. He is awakening his children all over to teach the Gospel to those which are lost. I pray that Israel comes from amongst all religion and turn back to the Father by obeying his Laws, Statues and his commandments. GREAT article Jerome. I totally agree with you. Biblically documented life of His Son Yeshua. Thank you, my beloved, in the LORD. You did an awesome job explaining this. Hopefully, my fellow disciples of Jesus Christ will focus on the truth, because Jesus is the truth. Please kindly inbox me. Grace and peace to you.